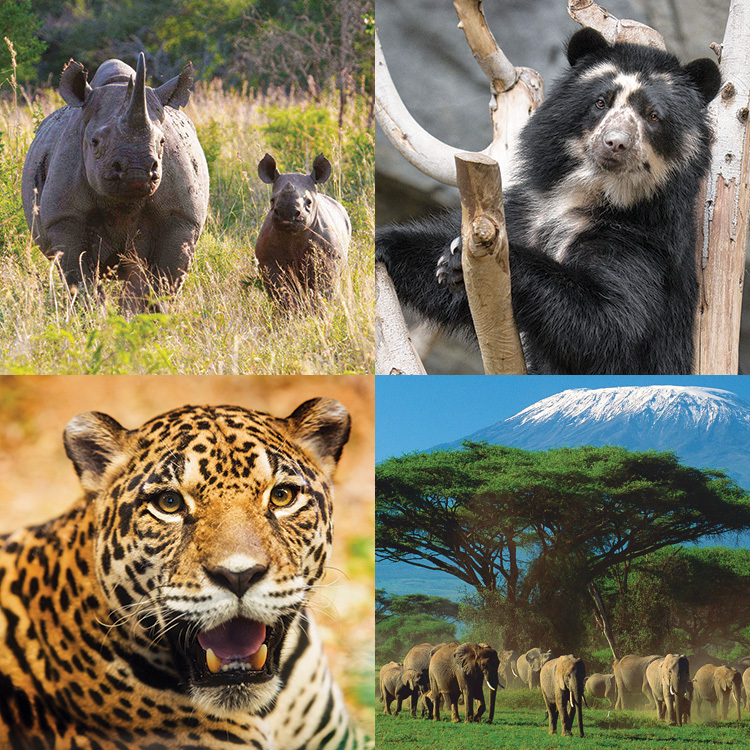 Unless we take action now, by 2100, 50% of all species on Earth may become extinct! Since our kick-off climb in 2012, we have donated $82,995 to protect critically endangered, vulnerable, and near- threatened species, as well as working to rehabilitate wildlife and plant native trees in the Amazon ecosystem. Ginna was recently in Ecuador climbing Cotopaxi (2nd highest mountain in Ecuador) and learning about the near-threatened Andean Condor and the Andean Bear. Mkomazi Rhino Sanctuary, Tanzania Click here to learn more. Panthera, New York, USA Click here to learn more. Ginna interviews Louis Psihoyos, Director of ‘The Cove,’ about mass extinction risk. We made a $10,000 donation to support Panthera, the only organization in the world dedicated to big cat conservation! $5,000 was designated to go directly to the Brazil-Pantanal program and $5,000 to general funds for the Jaguar Corridor Initiative to protect this near-threatened species from potential extinction. We had a team trek to the Pantanal this September 2018 in partnership with Panthera to hike and see the jaguar via boat excursions. This incredible trek was also in honor of the late Alan Rabinowitz, a Hero for the Big Cats! In January, we had a team volunteer for two days at the Merazonia Wildlife Rehabilitation Center in Ecuador. Merizonia has over 100 rescued animals that are currently being rehabilitated. We also were able to donate $1,300 to help their wildlife programs. We donated $1,000 towards the Andean Bear and visited the Inkaterra Andean Bear Rescue Center in Aguas Calientes, Peru. We learned about the last native bear in South America and the sanctuary’s efforts on research, conservation, and education. After our Mt. Rainier climb, we donated $1,000 to the Xerces Society to raise awareness and funds for the vulnerable Western Bumble Bee species which is located in the North West. After our Mt. Kilimanjaro climb, donated $8,000 to the Mkomzai Rhino Sanctuary in Tanzania to continue supporting the projects to increase the children’s education program and support the wildlife rangers who guard the endangered rhinos. In 2016, we donated $10,000 to the Mkomazi Rhino Sanctuary to save critically endangered rhinos in Tanzania, Africa. 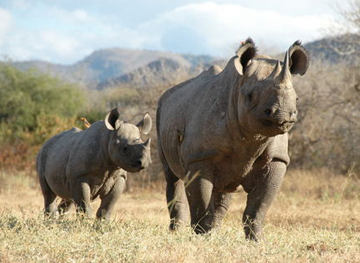 We are donating to buy GPS units so the rhinos can be protected from illegal poachers. We also donated $2,000 to ECOAN Peru which works to restore critical Andean forest habitat, providing habitat for the Andean Bear. In August 2015, we donated $1,500 to the Katie Adamson Conservation Fund in order to help rehabilitate and care for orphaned rhinos in Nepal. We raised funds through our Mt. 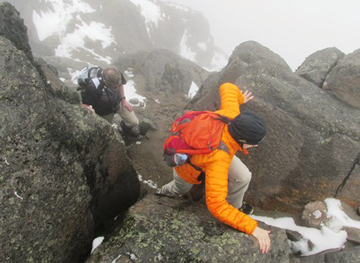 Elbert Climb for the Rhinos on August 23, 2015. In December 2015, we donated $1,000 to the American Bird Conservancy for a specific project in Peru with ECON working to preserve Andean forest and habitat for endangered birds and the Andean Bear. In December 2014, we donated $12,194.70 to the Mokamazi Rhino Sanctuary in Tanzania, Africa to save the critically endangered African Black Rhinos and Elephants threatened by poaching and habitat loss. 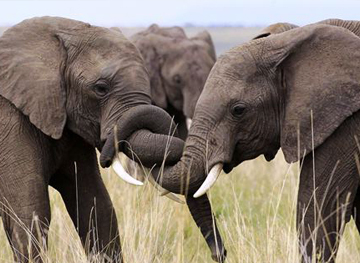 100% of funds raised by our 2014 Kilimanjaro Team are going directly towards an African Education Program and anti-poaching protection at the sanctuary. In January 2013, we donated $29,394 to the Mkomazi Rhino Sanctuary in Tanzania, Africa to save the critically endangered African Black Rhinos threatened by poaching and habitat loss. In August 2013, we donated $5,606 for Panthera‘s jaguar habitat program, which is building jaguar habitat from Mexico to Argentina to restore the near-threatened species. Panthera receives “High Confidence” in Buffet’s RISE Assessment Test available HERE. We make sure the organizations we donate to are doing good work. Each non-profit to which we donate, undergoes a RISE Assessment Test, created by the Learning By Giving Foundation to ensure our donations are being used effectively. Help us do our part. Together we can make a difference. Our efforts focus on raising awareness for land, water, and wildlife conservation.